Now that I have your attention, the article is really about bonding. I know, not nearly as interesting but I promise that for DIYers it is a very important concept to grasp. I pulled this quick definition off of Wikipedia, “Electrical bonding is the practice of intentionally electrically connecting all metallic non-current carrying items in a room or building as protection from electric shock. If a failure of electrical insulation occurs, all metal objects in the room will have the same electrical potential, so that an occupant of the room cannot touch two objects with significantly different potentials. Even if the connection to a distant earth ground is lost, the occupant will be protected from dangerous potential differences.” Basically in a nutshell bonding works along with grounding in your home to keep you, appliances, etc from getting zapped and damaged due to an unexpected shock. This shock could come from faulty wiring or from something such as a lightning hit on your home. Your electric panel is grounded and your gas line is bonded to the electric panel which grounds everything. Grounding and bonding are very similar but something can be bonded and not grounded. I know I’ve done my job if your head hurts right now thinking about this. “Why the technical jargon” you may ask? In this age of home improvement shows and readily available supplies from stores such as Home Depot and Lowes it has led some of us to tackle things which we would normally call a tradesman/woman for. I think this is great but unfortunately we as homeowners sometimes don’t do the necessary homework to make sure things are done safely and completely. 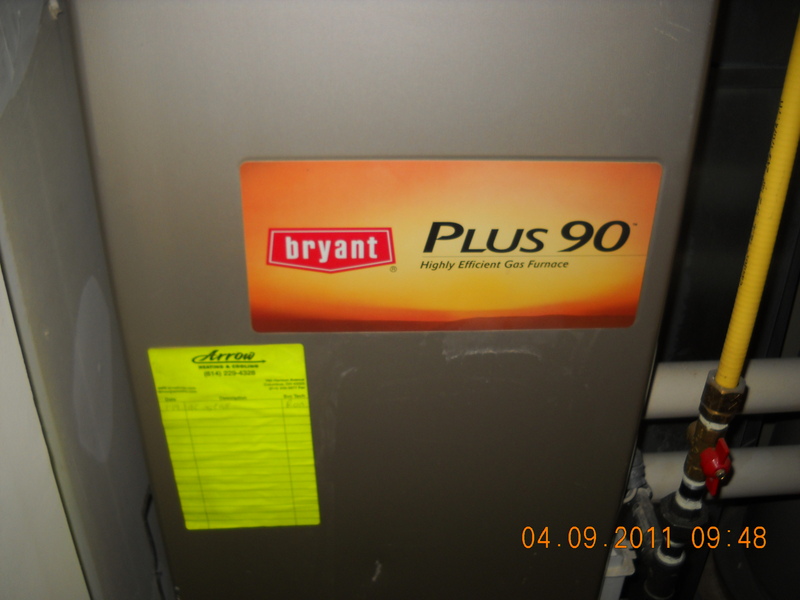 One such project that I have been running into recently is replacing your own gas-fired water heater. If you have an electric water heater this may not pertain to you but it still will be useful if you have gas lines in your house. Unfortunately I also run into tradespeople (Easier than the man/woman thing. Shoulda thought of that earlier) who don’t follow this very important practice either. Let’s get down to the nitty-gritty. We have this very user-friendly product available to us all right now called CSST. This stands for Corrugated Stainless Steel Tubing. It is that flexible yellow gas line that most people use now instead of having to run the old school black pipe which you had to cut to length and thread on site to make connections with a very heavy and expensive machine (Or keep going back and forth to the big box stores to have them cut it for you and put up with their attitude because they don’t like to work this machine. Seriously, try it sometime. I guess it keeps them from randomly walking around the store and avoiding eye contact with anyone for fear that they will actually have to help someone). Now you may ask why this is important to have this bonded if the original gas line was not bonded. Well, this type of flexible gas line has been known to burst and explode if there is an electrical surge on the line such as a lightning strike to your house. Nothing puts a damper on you and your DIY projects more than a burst gas line, a real bummer I must say. This flexible line can also be used when a furnace has been replaced, a gas fireplace installed and in one instance I saw a whole house piped using all CSST with only some solid pipe used in one spot where the line needed to branch off to the furnace and the water heater. The yellow line in the foreground is the CSST running to the water heater. Sorry it's a bit blurry. This is an example of the CSST running to the furnace. Let me make something clear here. I still want you to give these projects a go but let’s have a primer on bonding so either you can do it or have an electrician come in and do it for you (I opt for hiring it out). This does involve running a bare copper wire into the electric panel which can make some of us a little shaky. If you call someone in (ie a professional) I promise to not revoke your DIY membership card, it is better to know your limitations. That being said, first thing you have to make sure of is that your electric panel itself is grounded. A simple way to do this is to look above your panel and locate a thick bare copper wire coming out the top of the panel and going through the wall to the outside. Now go outside and locate where it comes out and it should head down to the ground where it is connected to a grounding rod which is driven deep into the ground. Hence, your house is “grounded”. If you find that this is the case, awesome! If not, you have an extra step in this whole process. That step is, get your electrical system grounded pronto!! Some will say that it’s grounded to the water line but this is usually a back-up. These days of water service and water supply pipes being replaced with plastic (CPVC for water supply lines and Polyethylene(sp) for water service lines) makes this type of grounding useless. You can’t ground through plastic. Next step, locating your gas line. 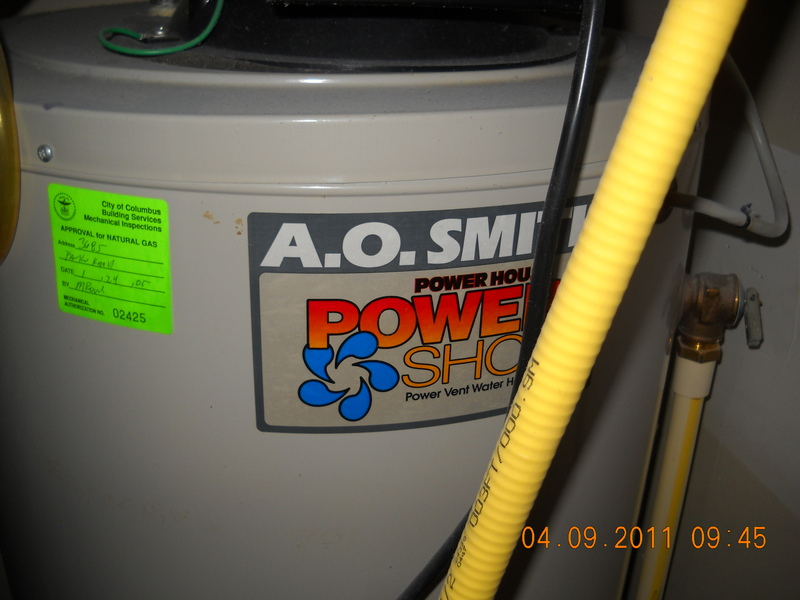 If your gas meter is in the basement that is a good place to start. Follow your pipes where they come closest to the electric panel and see if somewhere along the line someone has already bonded the gas line to the panel. Look for a second very thick copper wire running from the electric panel to the gas line and being clamped on to the pipe. If you don’t find this, time to remedy the situation. I’m going to just say right now that I would call an electrician to come hook this up. You will need to run wires into the electric panel with the cover off and live electric supply wires coming into the panel. You can turn the electric off to a fixture to work on the fixture but it is beyond 99% of most of our DIY abilities to disconnect the electric to the house. I know this is a little bit of a tease/cop-out but my purpose with this article is to make you aware of a problem so you can take care of the situation. Also, if you have replaced your own water heater and all you need someone to do is bond your gas line, that is a big money saver over having someone do everything. Kudos to you! If you choose to do this yourself you will have to research how to do it without my article so it takes the liability off of me 😉 Good luck and have fun getting to know your house. AS always, if you have any questions just drop me a line. Awesome article man! A couple questions though. If the electrical box is not grounded to an outside ground, where in the box do you run the ground from? The neutral strip? And, when grounding the csst, should you shave off some of the yellow and connect grounding wire to it then run to neutral bar in box? Thanks for your time! Your panel should always be grounded by grounding rod unless they grounded it at the meter outside. In this case it is ok to also ground the hard gas line with a ground wire directly to a ground rod outside. You just clamp the wire with a ground wire clamp to the hard, black pipe gas line coming from the meter or to the manifold if your whole house is done with flex. I think I covered everything but if you have a follow-up question please ask. BTW, the ground wire would go in your panel and connect on the bus bar with the other grounds or just on a bus bar if your panel is grandfathered in and neutrals are mixed in with grounds. Current panels need grounds and neutrals separated and sub panels…….that’s a whole other article.